Vibrant Islands” is a cycle of 9 pieces for acoustic vocal performance, made in 2015. Each movement consists of a number of “islands” containing phonetic signs, many of which were invented by himself. For many years he has been working on a personal extension of the International Phonetic Alphabet: BLIPAX (BLonks IPA eXtended). In the performance the islands can be visited in any order, and repeatedly as well. In every score of the cycle the coastal lines have a different form, for instance angular, crenelated, straight or rounded, according to the prevalent sound character of the movement. 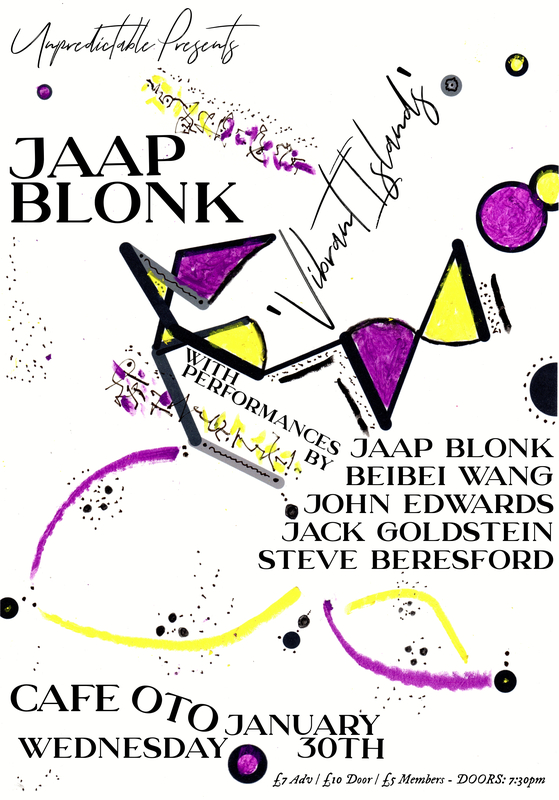 And in the second half a different combination of performances by Jaap, Bei Bei, John and Steve.